Welcome to my third blogathon post in as many weeks! Today’s blogathon is the What a Character! Blogathon, hosted by the blogs Once Upon A Screen, Outspoken & Freckled, and Paula’s Cinema Club. 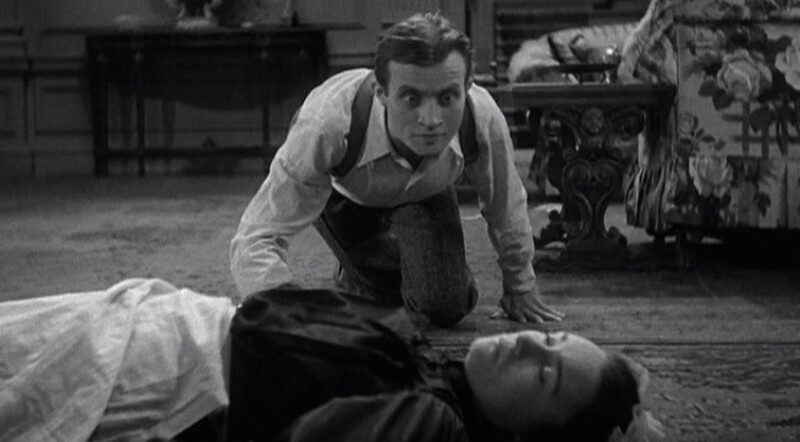 This blogathon focuses on actors who never really landed leading parts, but exhibited much versatility in their acting, and frequently were considered great character actors. For me, no actor more strongly comes to mind than the brilliantly talented Dwight Frye, who was perhaps most famous for being a staple of the early Universal Horror films with roles in films such as Dracula (1931), Frankenstein (1931), The Invisible Man (1933), and Bride of Frankenstein (1935). The reason that he is often overlooked is that in all of these films he is often side-lined by the more sinister and gruesome titular villains. But that is no knock on Dwight Frye; in fact, it’s a testament to his acting ability, that he was able to remain so memorable and create such an in impression even 70 years later when sharing the screen with vampires, invisible men, and walking cadavers. Dwight Frye was born in 1899 in Salina, Kansas, and subsequently moved to Denver, Colorado with his family. After dropping out of college, Frye quickly became enamoured with the stage. He soon caught the eye of New York producer Brock Pemberton, who cast him first in The Plot Thickens (1922). 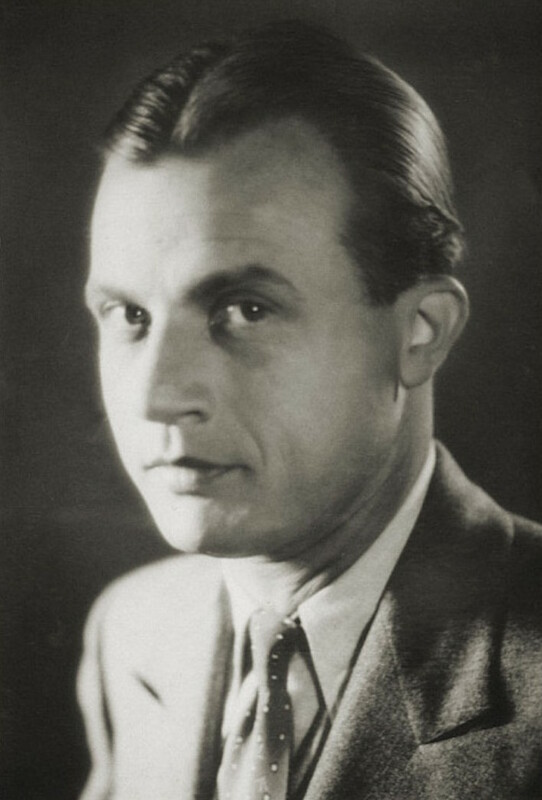 His acting received very favourable reviews, and with Pemberton Frye continued a very successful career on stage with critically acclaimed roles in comedic and musical productions such as 6 Characters in Search of an Author (1922), Rita Coventry (1923) and The Love Habit (1923). Brock Pemberton, the theatrical producer who first took notice of Dwight Frye. Frye married Laurette Bullivant in August of 1928, opening a tearoom in New York for some extra income. Following the crash of 1929, they lost the tearoom and moved out to California, where Frye continued successfully on the stage. 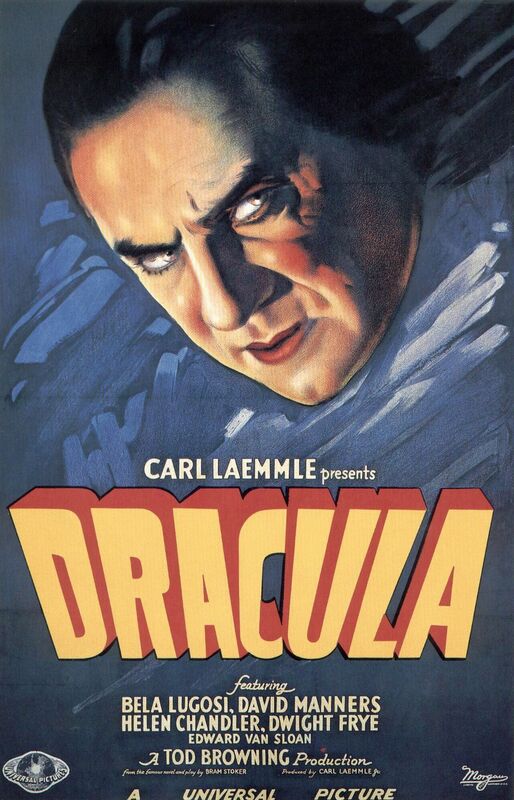 After starring in a few mob / crime films for Warner Bros, Frye signed on to the role that would garner him international fame – that of the maddened Renfield in a new film version of Dracula, which was bringing over Edward van Sloan and Bela Lugosi in the title role from the celebrated stage version. During the production of the film, his wife gave birth to his son, Dwight David Frye. So successful and definitive was his performance as Renfield that he was practically typecast for the rest of his career in film, often appearing as insane, deformed characters. He was immediately put to work as the hunchback Fritz in Universal’s next horror, Frankenstein, which proved to out gross Dracula. He would also appear (albeit unbilled) in The Invisible Man as a reporter and in Bride of Frankenstein as another lunatic, Karl. Outside of his work for Universal Pictures, Dwight found steady work in B-films from many poverty row studios, again typecast in supporting roles. The film that would cement Dwight Frye’s place in cinematic history. “If God is good, I will be able to play comedy, in which I was featured on Broadway for eight seasons and in which no producer of motion pictures will give me a chance! And please God, may it be before I go screwy playing idiots, half-wits and lunatics on the talking screen!”. During 1943, Dwight doubled his workload by working at night as a draughtsman for the Lockheed Aircraft Company to aid the war effort, partly driven by his guilt at not being able to fight both in World War I and now World War II due to his age. 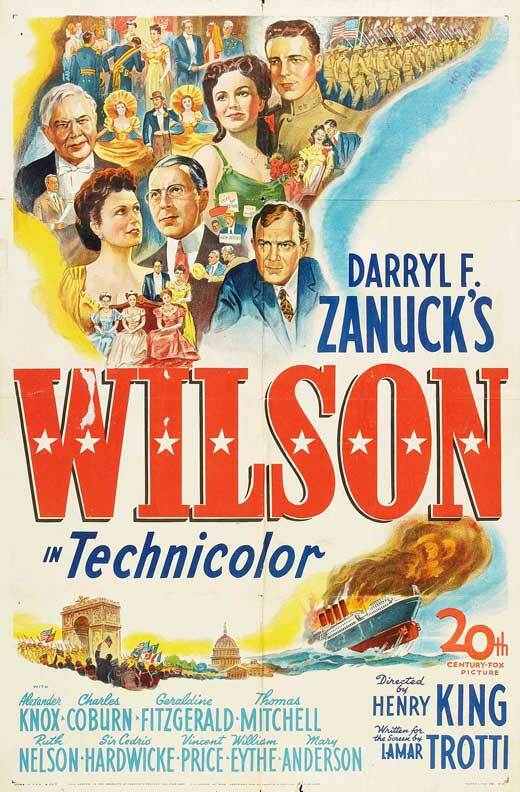 Wilson (1944), the film that should have granted Dwight Frye’s wish for cinematic variety, had it not been for his untimely death. Frye soon became very ill, developing coronary problems that he hid from his family and refused treatment for. This was due to his being a devout Christian Scientist. 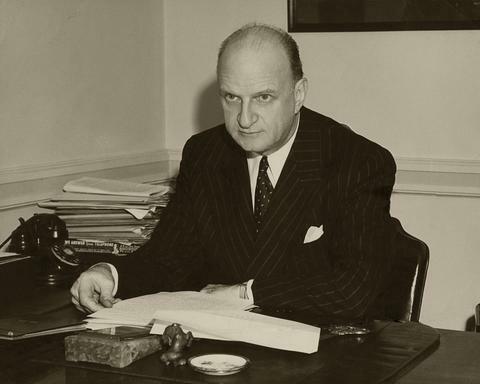 Tragically, just before his untimely death, he finally was granted his one wish by Hollywood – he was cast as Secretary of War Newton D. Baker in biopic Wilson (1944). He died of a heart attack just a few days before shooting commenced. A forgettable horror film that is made enjoyable by Dwight Frye’s presence. Although a varied actor on the stage, there is unfortunately very little variation in his roles on the screen. For his devoted fans though, including myself, this is not necessarily a problem. Particularly in his role of Renfield, Frye is one of the most memorable of actors of the early sound era, crafting spooky, mysterious, and frightening performances. 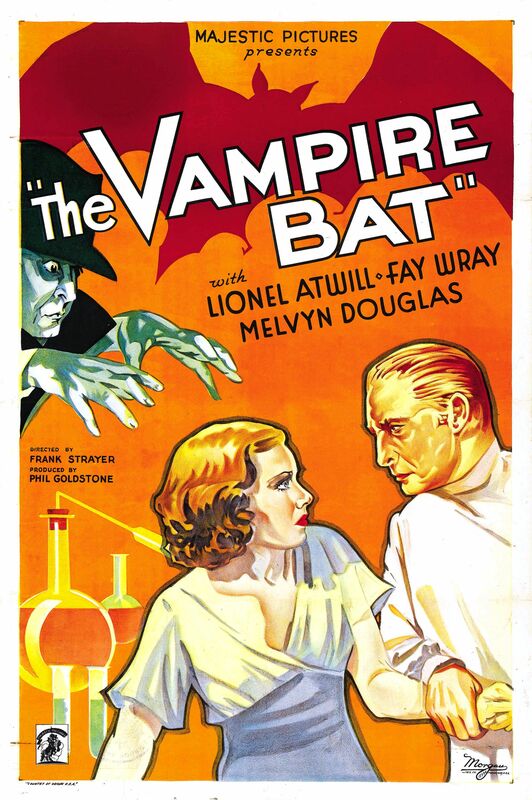 Indeed, because of these performances his roles are often much better than the films in which he appears – this can especially be considered true of the enjoyable The Vampire Bat (1933), also starring Lionel Atwill and Fay Wray. It’s unfortunate that he is killed off before the end of the film, because his character is without a doubt the most intriguing and well acted of the film. No role he ever took would outshine his performance as Renfield though, which remains his greatest artistic contribution to the cinema. It’s his most oft-seen performance, due to the fame of the film, and very few will forget his performance. In many ways, he is truly the equal of Bela Lugosi in this film, and anytime that they share the screen is simply cinematic magic. It’s a fitting testament to his acting ability, even if it was the source of much personal strife. Thank you for reading! Please go and check out all of the other wonderful entries in the What a Character! Blogathon – you will be sure to see lots of your favourite actors from both film and television being covered. When I see Frye in later small bits in film I go through an emotional roller coaster. I am happy to see him and angry that he wasn’t given his due. Bless his memory. Yes I feel exactly the same. It really is tragic how Hollywood treated him. Frye is a criminally overlooked player – he was such an important early horror player, and I’m not surprised he was dissatisfied with Hollywood. I’m glad posts like this are still singing his talents! How frustrating the studio experience must have been for him! Here is a talented actor who just can’t get the parts he longs for. The studio system produced some important and wonderful films, but it’s stories like this that make a person angry. I guess we can always enjoy him in the films he did make, but I don’t think I’ll ever watch him again without thinking about your post. Thank you for reading! It really is unfair what happened to Frye – he really had the ability to adopt multiple types of roles. It’s tragic that this probably will not survive as his legacy considering the temporary nature of theatre. Thanks for the post. I read about Frye years ago in a book that dealt with the background of the Universal Frankenstein films. By the time Ghost of Frankenstein was made he was merely one of the extras in the mob ,who I believe utters one line. Thank you for reading! Indeed, it is so strange that his first role in the Universal Monster films would be his best and most prominent; a genuine shame that his film career slowly diminished from that point on.